Add-on to Jonas’ file upload library CarrierWave for direct uploads to S3 and background processing of the files. Nicklas wrote a blog post with some guidelines for dealing with timezone issues in Ruby on Rails. The new version of the Sonos controller app for Mac OS X is a huge improvement. Microsoft is doing a big marketing campaign for IE9. Not bad. More resilient test doubles for RSpec, from Xavier Shay. The new version of Photoshop is out in beta. Jimmy and Johannes are very excited about this. Image is no longer available. Pair programming really helps everyone keep a consistent coding style, but GitHub’s style guide was an interesting read nonetheless. Actors and futures in Ruby, wrapped in a nice API. Having a problem with an open source library? Here are Jonas’ tips on writing a good bug report that will increase your chance of getting help from the library author. Check out the Michael Bay preset. 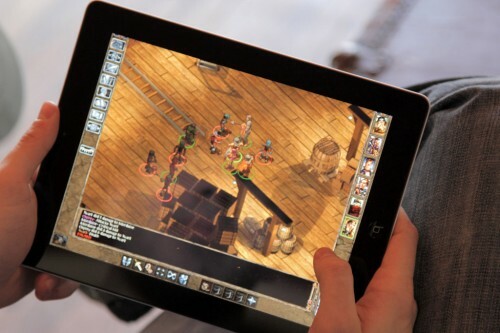 Baldur’s Gate is coming to the iPad! Forget Google Maps, iBooks or iPhoto. This is the killer app.